Some of you may be surprised that I support welfare and urban development. Well, I do, but only in a limited sense. I support it for myself in Washington, D.C. Who care’s about San Diego County’s needy children, sick, or elderly? I say: "get a job!" I put my money (actually your money, the tax payer’s money) where my mouth is. As member of the powerful House Appropriations Committee, I was able to get $3 million in federal funds for waterfront development. Not in my district, of course, but around my 65-foot yacht and home at the Capitol Yacht Club, 1000 Water St. SW, Washington, D.C. [MAP] [S.D. Union-Tribune, 11/15/1998, pp. B1-B2]. 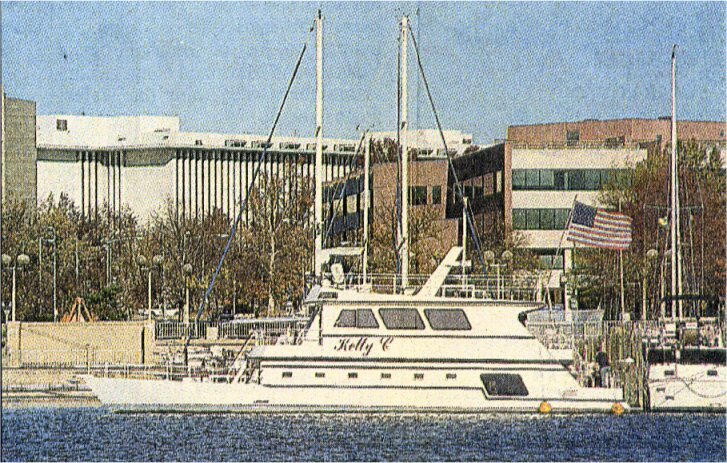 Here’s a picture, of my yacht, the Kelly C, and the surrounding waterfront [Kelly C Coast Guard registration]. See what your money can do for you? 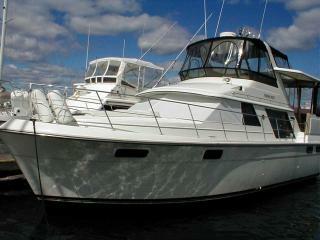 It has 3 staterooms. I like to take it out on the river, with me at the helm dressed like Admiral Halsey. 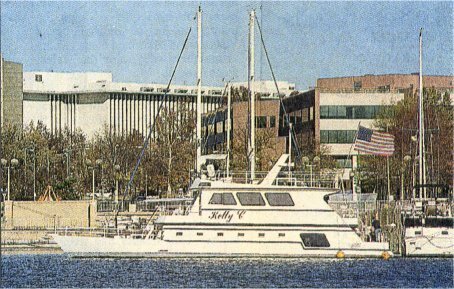 My yacht Kelly C is in repair, so I get rent-free use of a 42-foot boat owned by my defense contractor buddy Mitchell Wade. The boat is fondly named after me, Duke-Stir (say it real fast)—ain’t that sweet? [North County Times, 6/16/2005] [Duke-Stir Coast Guard registration]. Here’s a picture of the Duke-Stir. Wade is the guy who bought and sold my house for a $700,000 loss. But, hey, I’m poor too, relatively speaking. I only get $162,100 a year, a tax free $204/day per diem when Congression is in session (about $69,000 a year), a Navy pension of $22,812 a year, free health care for life, and generous Congressional retirement benefits. It’s hard to “live big” with a mansion and yacht on that pittance.